How Can I Expedite Probate For A Smaller Estate? - Crooks, Low & Connell, S.C. Transfer by Affidavit is perhaps the easiest option available to potential heirs of a small estate. The transfer of affidavit process can be used for any probate assets valued at less than $50,000, even if the decedent did not leave a will. However, the process can only be utilized by those individuals who would be considered heirs under the law if no will existed – typically surviving spouses or children. It is important to recognize that the $50,000 limit applies only to those assets that would normally have to go through probate, not the total assets owned by the estate. 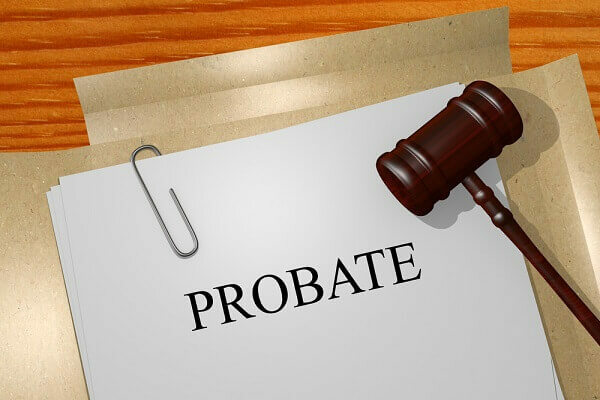 For instance, bank accounts and retirement accounts with payable on death provisions, or named beneficiaries, do not normally have to go through the probate process and are not considered probate assets. In order to initiate the transfer by affidavit process, a qualifying heir must fill out a transfer affidavit form, which is available with the Wisconsin courts. The form will require you to provide basic information about the decedent, your relationship to the decedent, and the estate, including a list of assets. After the form is completed, it can be mailed to the Estate Recovery Department at the State of Wisconsin. They will review the form and the estate to determine if there are any liens applicable to the estate. If so, part of the estate must be used to pay off the lien. If not, then the transfer form and death certificate can be used to transfer outstanding assets into the heir’s name. In some instances, transfer of affidavit will not be available because the individual charged with handling an estate, or receiving the benefits of an estate is not an heir under Wisconsin law. In this case, if the probate assets of the estate are still under $50,000 another option that is available is summary settlement. Summary settlement allows a small estate to be settled without the appointment of a personal representative. It requires that the value of the probate assets not be more than the claims and expenses, or whenever the assets of the estate do not exceed $50,000 and the decedent is survived by a spouse and/or minor children. Where an estate is worth $50,000 or less, but there is no surviving spouse or surviving children, an alternative process called summary assignment can be used. Again, summary assignment does not require appointment of a personal representative and allows interested persons to handle the estate. In many respects, summary assignment follows a similar process to summary settlement. When an estate is small, but not small enough to meet the requirements for transfer of settlement or summary procedures, the next best option is to proceed through informal probate administration. While informal administration does require the appointment of a personal representative to oversee the estate, it does not require extensive court involvement. Once the personal representative is appointed, he or she can notify the heirs of the estate, publish notice for potential creditors, inventory the assets and then distribute the assets once it is determined that no creditors exist, or creditors have been satisfied. After the personal representative has finished distributing the property, he or she will file an accounting and closing statement with the court. Informal administration is the primary probate process used in Wisconsin, but it does require that all heirs are in agreement and will get along during the process. If significant disputes are anticipated, or arise, then the probate process will require more formal court involvement. No one wants to make the probate process more difficult than it needs to be. If you are dealing with a very small estate, or an estate passing directly to required heirs, like spouses, you may be able to take advantage of Wisconsin’s small estate procedures in order to minimize your time and expense.